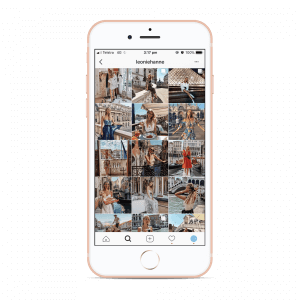 At Plann HQ we’ve been keeping an eye out for the most stylish fashion Instagram grids that will inspire you to redesign your account, and we think we’ve found the cream of the crop! 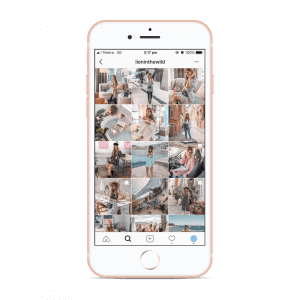 It’s the perfect time to give your Instagram account a makeover, so sit down, get comfy, grab a cup of tea, and let’s scroll through some fashion Instagram grids to discover your new Instagram style. Get ready to be #inspired. C’mon, who doesn’t love a good outfit-of-the-day snap? To start off our list of fashion Instagram grids we’re taking a look at the oh-so stylish @fashionedchicstyling who has completely captured our hearts. This Instagram account has been carefully styled using a consistent filter and outfit photos from various angles to keep the profile interesting. We are seriously loving the denim jeans and shorts too – they’re a #wardrobeessential! @thefashionheist is an incredible Instagram blogger who just so happens to have a fashion label too! This Instagram feed is light and bright, with lots of fun outfits and detailed close-ups of accessories that make us swoon. PSST -> If you want to learn how to launch + grow a Fashion Label on Instagram, here’s an interview we did with an Instagram-famous brand. Did someone say filtering perfection? 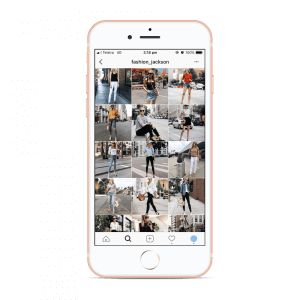 This fashion Instagram grid has been styled to perfection, and it really goes to show that taking the time to move your images around in the planning stages can help you to achieve a beautifully flowing Instagram account. 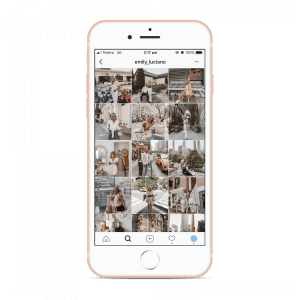 If you want to see what your Instagram photos are going to look like before uploading them to the ‘gram, we have an app for that! PSST — > Click here to take a peek at our app Plann and try it out for yourself, for FREE! Leonie is one of the most recognisable Instagram fashion bloggers in our opinion – we see her images all over the internet! 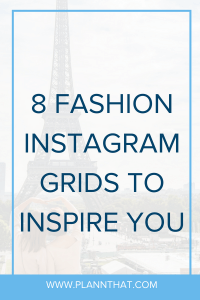 This grid is a mix of a fashion and travel that is carefully curated and edited. We really love that Leonie wears a variety of outfits in her photos as well – always containing a mix of bold colours, long dresses, two-piece sets, and classic neutral outfits. PSST -> Want to live that travel blogger life? Here’s an interview we did with a full-time Instagram travel blogger. Looking for the ultimate outfit-of-the-day Instagram account to follow? @fashion_jackson is incredibly consistent! This fashion Instagram grid showcases head-to-toe outfit inspiration. It’s sure to help you to decide what wardrobe staples to pair together. Looking for a fashion Instagram grid that is a little bit unique? We love how fun and creative @afashionnerd is with their Instagram account! On this Instagram account, there is a whole lot color. The pop-art vibe makes us want to print these pics out and put them in a sparkly frame. Another beautiful blend of fashion and travel, it’s @lucyintheskyy! 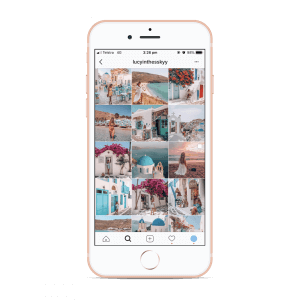 We really love the consistent filtering style and the slight gradient effect that has been used to create this fashion Instagram grid. 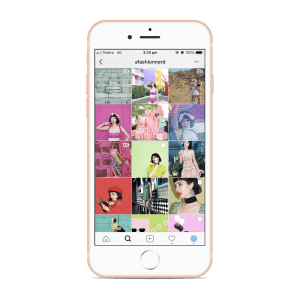 What’s the key to creating an incredible fashion Instagram grid? After taking a look at these Instagram accounts we definitely think that a consistent editing style has something to do with it. @lioninthewild not only has an incredible Instagram filtering style, we just can’t go past that username! Choosing an interesting and unique Instagram username for your fashion Instagram blog is the most important thing when it comes to standing out and being memorable. 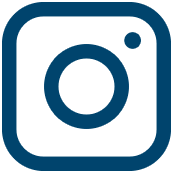 Seriously – there are over 1 billion Instagram users now, that’s a whole lot of competition! PSST-> If you want to learn how to get more followers on Instagram, here are our best tips. 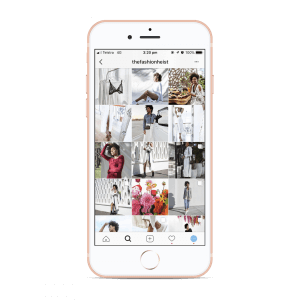 So, what’s your favourite fashion Instagram grid? Woop woop! There you have it, eight of the best fashion Instagram accounts that are definitely going to inspire your next Instagram grid makeover. Have you found some new Instagrammers to follow and adore? We sure hope so! 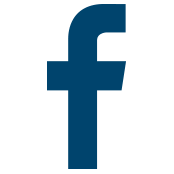 We can’t wait to find out which account you loved the most – make sure to let us know by leaving a comment on this blog. There’s something life-changing headed on the horizon! The Plann app will soon be available on Desktop! If you want first dibs on the desktop version of Plann (launching soon) join the waitlist here.